The original creator of A Dark Room ($1.99), the minimalist text-adventure hit, has just released their latest game: Gridland. While it’s not on the App Store yet, you can still play it on your iPhone or iPad right now via Safari. 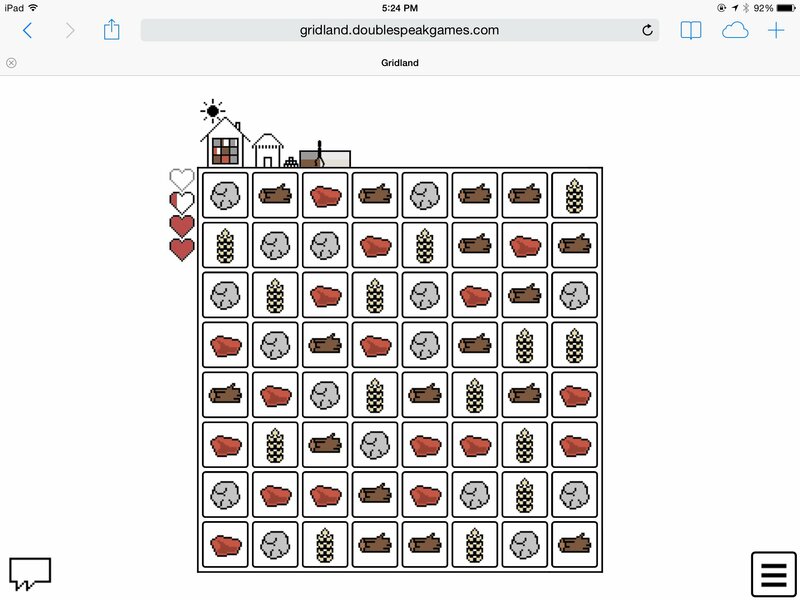 This is a match-3 game that involves making matches to cultivate resources to build buildings by day – and then fighting off creatures at night by making matches to attack, protect, and more, going back and forth until death. While it’s not available as a native app quite yet, the game works perfectly in Safari – you can swipe between pieces to make matches, this isn’t like the clunky browser-based games you’ve played before. It even saves your game between sessions, and has a game save export code that can be pasted into other versions of the game. Of course, given the opportunistic nature of many unscrupulous developers, and that the game will be released as open-source (though it isn’t right as of this second), unofficial ports are likely on the way. No word yet on if the creator of the official A Dark Room iOS port, Amirali Rajan, who just released a prequel called The Ensign ($1.99), will be at work on an official App Store port. Hopefully the world decides to hold off on cloning this one.